A practical joke by the online travel giant left users befuddled and amused. A key card that works at every hotel door without prior booking? If such an offering sounds too good to be true, it actually was. On 1st April, Yatra users woke up to a surprising and befuddling announcement by India’s leading online travel agency. A video talked about the launch of the Yatra MasterKeyCard — a key card that unlocks every hotel door as the users already hold a standing reservation. Unsurprisingly, this super convenient card was an elaborate prank by Yatra. A link in the description of the video directed users to a page with the message “The joke’s on you. The room’s on us” along with a special promo code for April Fool’s day. The brand film talks about an issue that most business and frequent travellers are already familiar with; the video shows a man who is not able to find a suitable hotel room at the last minute and seems annoyed about it. The video then introduces Yatra MasterKeyCard as the perfect solution for the ordeal as it gives him seamless access to a room with customized service offerings. The MasterKeyCard is positioned as high on technology with an inbuilt fingerprint scanner, a nanochip and GPS technology. For a long time, Yatra has set itself apart in a crowded marketplace with its distinct playful messaging. The prank reinforced the kind of bond consumers have with the brand. Like that mischievous friend who gives you high hopes for the sake of fun, the brand teased consumed with a solution that would make life a bit too convenient. After being pranked, users could still be assured of a special discount on hotel bookings made on April Fool’s Day. 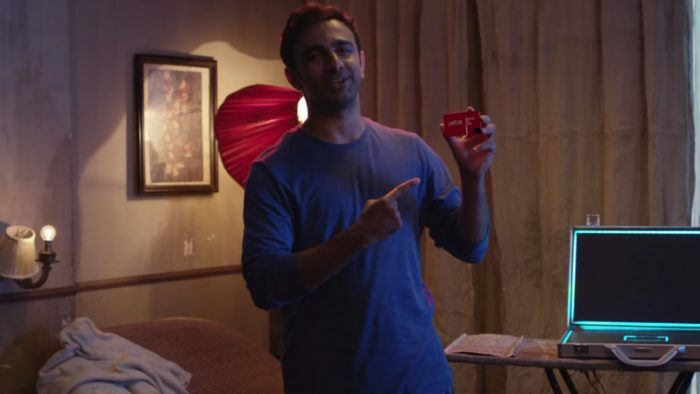 Commenting on the prank, Mudit Shekhawat, CMO Yatra.com said, “Yatra.com is loved because of the informal relationship the brand has shared with Indian travellers and a cheeky prank is our way of a friendly wink. And what better day to play a prank than on April Fools Day! While the MasterKeyCard remains a dream for now, Yatra.com is committed to technology backed innovations that help travellers take some of the pain out of travel.” He cited Flexi Stay Hotels and Yatra Smart Choice as innovations inspired by this commitment. The practical joke received a lot of attention on social media and users wondered if such an offering was actually possible with existing technology.